Rick Grossmann is the author of Franchise Bible (Entrepreneur Press®, 201) a leading franchise industry expert with over 20 years of experience in helping both franchisors and franchisees grow their businesses. A successful franchisor himself, Rick developed a high tech/high touch franchise marketing and sales system selling hundreds of franchises in North America capturing ranking in Entrepreneur magazine’s Top 500 franchises in less than three years. Ashley Morris and Jason Smylie have known each other since they were eight years old. Here's how they maintain a healthy work relationship today. Former Starbucks executive Andrew Alfano wants to help you become a better leader. Naranga CEO Mark Montini breaks down his company's four-pronged strategy. This new fitness trend is disrupting the franchise industry. Here's how you can leverage its model to craft your own success. The value of military veterans in franchise leadership positions -- explained by military veterans themselves. Learn winning franchise leadership strategies from a business that's grown exponentially. If you're considering hiring a mentor for your franchise business, consider this key factors. With technology disrupting the world of franchise, use the tools from these three books to stay innovative with your business. 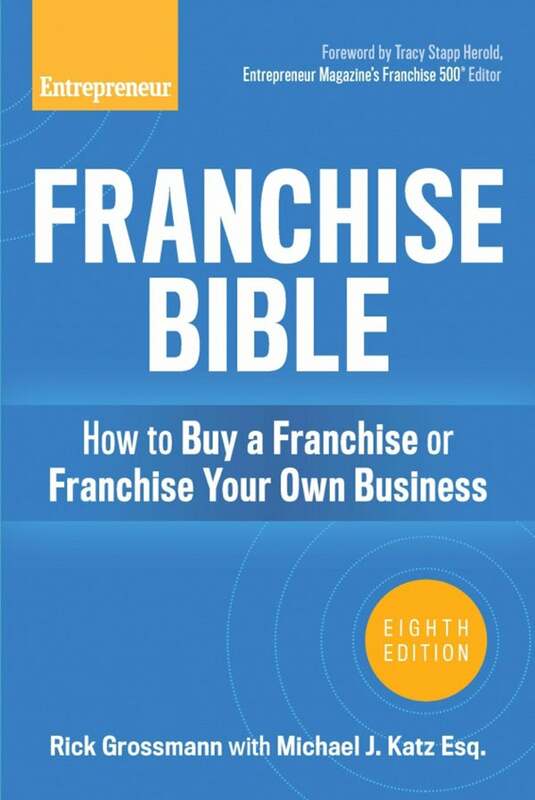 Evaluate potential franchisees and grow your franchiseWhether you want to buy a franchise or franchise your own business you’ll learn what to expect, how to move forward, and how to avoid costly mistakes--making Franchise Bible required reading.